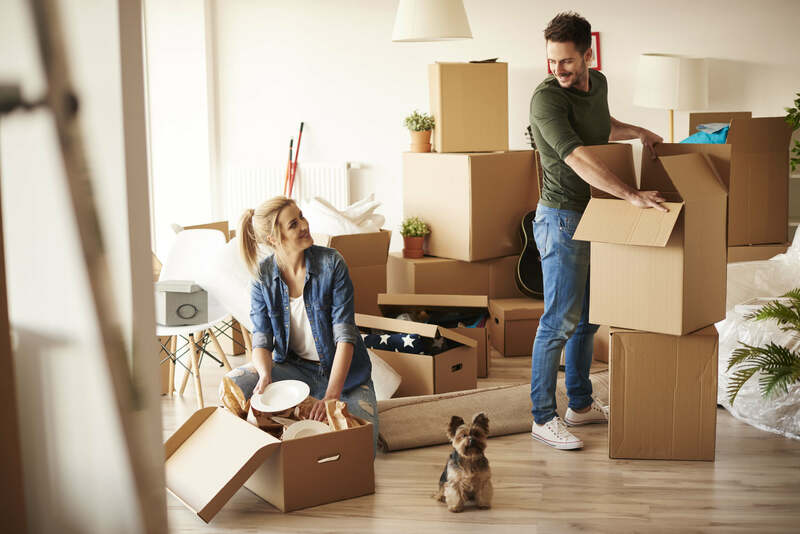 Moving day is coming up; you’ve picked the movers, arranged the date for them to come pack up your home, and taken care of everything you can think of. But wait, have you made arrangements for Fido the dog yet? How is he going to take being stuck in a portable kennel for the drive? Advantage offers you these four tips to help make things go along a little more smoothly. Like it or not, putting Fido in a portable kennel is the best way to keep him safe during the drive. Whiles some dogs love to go for a ride in the car, many find the kennel gives them a feeling of being safe. As an added bonus, it keeps them secure while you stop for food, gas or the restroom. Is Your Pet Used to Riding in the Car? If you have already invested time in getting Fido used to riding in a car, now would be a good time to do so. The last thing you want is for him to throw up or go potty in the car while you are moving. Start out with short drives at first; this will give him time to get used to the sounds, smells, and motion of being in the car, making the whole trip more enjoyable. Before you take off, take the time to go out and have a new I.D. tag made for Fido. It should have his name and your new contact information, including your cell phone number. If Fido should get lost on the way, the person who finds will have a way to get ahold of you so that you can be reunited. Even Fido needs a backpack during your move. Most movers say it should be used for things like a few toys, his food and water dishes, some treats, any medications he might be taking, and a blanket. You should also keep a fresh gallon of water on hand to ensure Fido doesn’t get thirsty on the way. Offer him a drink every time you stop and give him time to go potty. Here at Advantage Moving and Storage, our professional movers work to make sure every aspect of your move goes flawlessly. For more information or to book your free estimate, contact us at (847) 584-3908 and let one of our agents book an appointment with one of our expert estimators today.